hello...do u knw how to get rid of this widget player in my screen? its annoying me...pls help! BUT....don't buy it if you plan to record video in loud places: the sound is over saturated because of the poor codec AMR. And too bad because it is the same for the new Pixon 12. Pixon is a big let down.Samsunf doesn't listen or read the viewers comments/ grievances they just keep making new phones at the cost of customers money ( a person buying a new phone worth Rs22500/-(450 USD)is wasted because what we get is a piece of crap and what samsung gets is some feedback mostly grievances of the customers and they try to make a few changes here and there and launch a new phone. The new phone is again ready to eat someones hard earned money to the tune of 450 - 500 USD and they also keep crying with the faulty or half cooked phone handed over to them. Samsung wake up! Its not about launching new models every fortnight you have to win customers also otherwise the way nokia lost its market share in last two years next in line will be samsung. Its our hard earned money pl do not make us to waste it again and again.We know that you are into business but the business can be done by keeping people WITH YOU rather than using them as a step to upgrade your new launch. Shou Ji, 29 Sep 2008The BEST CAMERAPHONE ever, u got almost all feature and quality from digital camera and camcor... moreso your telling me that youve used all 3 phones and out of them, that samsung m8800 is the best camera phone, even more than the samsung i8510????? Hi!!! Does anyone know if it's possible to somehow control or reduce the microphone sensitivity of the Samsung Pixon while recording videos on loud environments (say, a nightclub or a concert) so that the resulting video could have distinguishable and acceptable audio quality instead of an undefinable noise? If not, is it possible to fix this problem with a firmware upgrade? I would really appreciate it if someone could tell me. I chose this phone for its video recording capabilities, and I'm really disappointed at the sound of the videos I have recorded (mostly short musical performances at clubs and stuff like that). Richard, 29 Jul 2009Hi fans, need to know whether Pixon can charge thru USB connecting to PC? as look like its pow... moreHi. Yes it can! Can someone tell me how the Blink Detection works on the Pixon? I made a test recently where I kept blinking at about 1.5 second intervals but the camera still took the image where I was blinking. The only features that seems to work fine are the Smile detection and Face detection. Bilou, 25 May 2009I think the video recording is very good. In low light the frame rate is obviously lower, but ... morego for LG phones their recordings are very smooth. Just like a DVD quality. Cecilia (SA), 24 Jul 2009Hi. Yes I can send and receive withouth problems... it is just the opening of certain attachm... moreWell I'm using the phone's email setup for emails. I haven't downloaded Gmail's application for my emails. The Gmail Application is working fine but how do you add attachments? When I open the Menu button for more options, all I get is 'Send, Add Cc/Bcc and Finish later' options. Can't you add attachments using the Gmail App? Is this phone worth buying? Does the software freezes a lot? 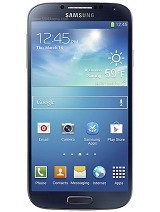 comparing it to samsung s8300 which is better to buy, samsung pixon or samsung s8300?